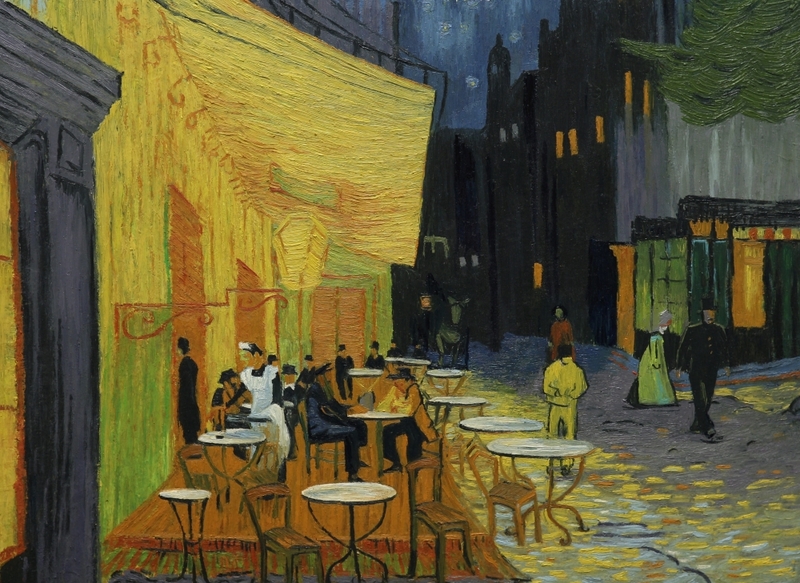 Vincent’s ‘Café Terrace at Night’ painting is so famous that we couldn’t bring ourselves to make any changes. 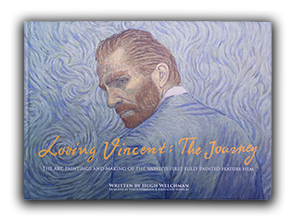 The only way we were able to show this portrait shaped painting in its entirety in the film was with a camera move from the top to bottom. So the final frame, “Café Terrace at Night”, is the bottom half of the famous paintings’ composition. We did however smuggle our main character Armand Roulin, and his father, the postman Joseph Roulin, into this scene.